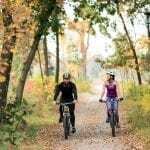 Summer is almost here, temperatures are warming up and it is time to getting outside. 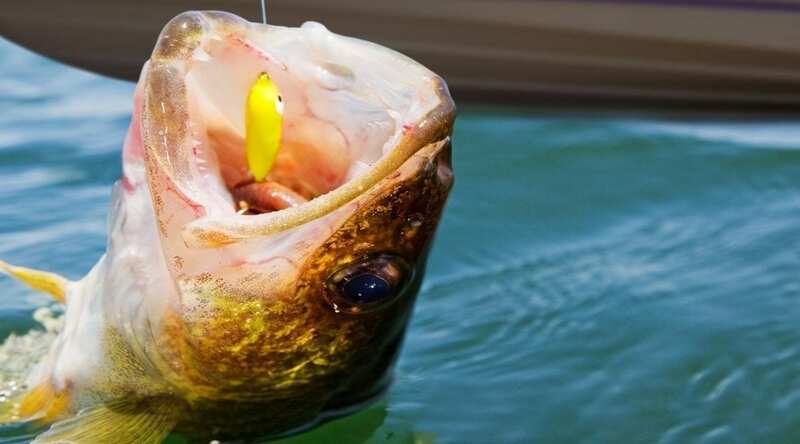 If you are interest in tips on Kentucky Lake fishing, Lake Barkley fishing and the Rivers, our local expert Jim Doom of Between the Rivers Guide Service shared with us this great guide! Catfishing is good year round on Kentucky and Barkley lakes. In the winter months you will find catfish in deep water (30 – 60 feet) where the creek channels empty into the main river channels. Your best bet in the colder months is to fish deep at an elevation change or drop-off. During April and May you can catch large numbers in the Canal between Kentucky and Barkley Lakes. Once the weather warms up they move back to the deep river channels. If you are fishing for catfish use minnows, night crawlers, shad, yellowtails or herring as your bait. Sauger; another bottom fish, is a cooler weather fish and one of the most popular fish for good eating. Fish for sauger from the canal out to the river channel – deep. You should also find good sauger fishing in the tail waters of the dams. Sauger spawns earlier than many other fish species, and in February you should find them along rocky points in the canal. The best sauger fishing is September through March. Use a jig (pink and Chartreuse are good colors for sauger) tipped with a minnow and bounce your bait along the bottom. 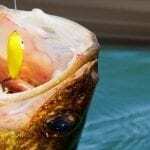 The Black Bass category includes Largemouth, Smallmouth and Kentucky bass. All are abundant in both Kentucky Lake and Lake Barkley. Bass can be caught throughout the year but April through November is the best time for bass fishing. Spring; when the bass are spawning offers the very best bass fishing. During spring the most popular baits are jig and pig, lizards and worms fished on a Carolina rig, spinner baits and crank baits. During the summer the bass move out to deeper water along creek channels. When the water starts to cool in September the bass move to shallow water again to feed on the schools of yellowtails and shad. A top water lure fished around these schools of baitfish offers some of the most exciting fishing of the year. After the water cools to around 50 degrees, they move back toward deeper water. Try using suspending bait in the cooler time of year. There is an abundance of these panfish in Kentucky and Barkley Lakes. You can fish for crappie from September through May. Mid March through April is the best time to catch large numbers of these fish. After the span they move out to deeper water (10-20 feet) where they can still be caught but not as easily as in early spring. In early fall, crappie can be found around creek channels and stake beds. Minnows and jigs are the most popular baits year-round for these fish. Bluegill are also abundant in Kentucky Lake and Lake Barkley. Bluegill are one of the best fish to introduce future anglers to the sport of fishing. They can be caught year-round but April through May is the best time for Bluegill fishing. During this time you can catch Bluegill around the shore in one to six feet of water. After the spawn, Bluegill move to deeper water around docks and creek channels. Use small jigs and worms (was, red, meal and night crawlers) to catch these fish. Although they can be caught year-round, April through October is the best time to fish for white bass. Top water baits are good early and late in the day. During the day, fish with slab spoons and Roostertails. Although these fish are found mostly in the tail waters below Kentucky dam and Barkley dam, the population of the stripped bass had increased in Kentucky and Barkley lakes in recent years. The stripped bass can be caught in the same way as the white bass and below Kentucky and Barkley dams in the tail waters. If you are fishing for striped bass below the dam use jigs and live bait and fish in the swift water. In mid April start using a top water lure. 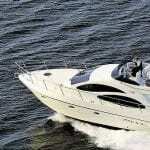 Want more information on Kentucky Lake fishing? Check out our pages on Kentucky and Barkley Lakes boating, fishing, Land Between The Lakes, and our lodging and camping page.